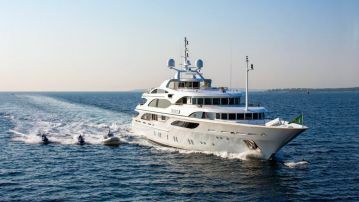 MegaYachting Inc., is most likely the most experienced Mega Yacht Charter agency in Turkey, representing numerous superyachts, motoryachts, and luxury motorsailer Gulets in Turkey and the neighbouring Greek islands. As well as South of France, Monaco and the Italian Riviera. Mega Yacht Charter in Turkey, we can give you many different options on private or corporate mega yacht rentals, whatever you and your loved ones might need, Luxury Crewed Mega yachts for charter to cater your exclusive yet special requirements, We offer friendly, discreet, and tailor made megayacht charter services in this part of the world. you name it we have it…! Corporate or private motor yacht charter whatever you may pronounce, we assure you the best possible mega yacht charter options in Turkey and the greek islands offering different varieties of Luxury mega yachts, Superyachts, Motor yachts, Turkish motor sailer / Gulets. crewed Sailing yachts that are listed in Our portfolio or you name the boat and we make sure you get an answer latest in 24 hours if the mega yacht of your dreams would be available for your charter period. Private power yacht charter is ideal for you and your loved ones to unwind, there are no specific agendas, no holding up in lines, Just you and maybe a couple of companions doing what you would love to do most and only when you like to do it. Communing with mother nature and with one another. visiting the tranquil inlets and abandoned sunny shores just approachable to yachts and watercrafts like yours. You will discover a cruising occasion is the extreme rest, when you come back from your mega yacht vacations you should feel thoroughly invigorated, animated, and primed to undertake life’s challenges afresh with replenished avidness, valuation for nature’s turf, your surroundings and yourselves are rediscovered in the solace of your particular select mega yacht charter. The best way to experience total freedom, elegance and glamour on a luxury yacht is to charter a crewed luxury yacht that may cost no more than a 5 star hotel or cruise ship, however unlike a cruise ship or hotel you have maximum privacy, freedom and control over You and your loved ones will be the only guests aboard the luxury yacht charter and the only ones the whole crew has to attend. The silver plate service is professional, personalized and very friendly charter. (Mega yachting Inc., Turkey ) your choice of cuisine is prepared, to your taste when you like it and the way you prefer, prepared by your own personal chef and served by your own stewardess, You can enjoy your meal whenever and wherever you like. 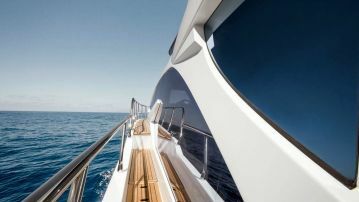 Super Mega Yacht Charter in Turkey Luxury yachts can be immensely different in their size, style and function. They can be Motor yachts , motor sailers, crewed sailing yachts, either classic or ultra modern, can be displacement or fast passage making. 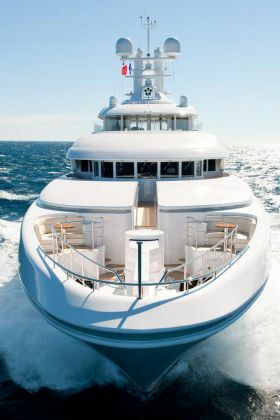 The largest and most lavishly appointed superyachts, however happens to be motor yachts. motoryachts have the size and stability to provide spacious saloons decorated with fruit bowls, sculptures and with fresh flowers. 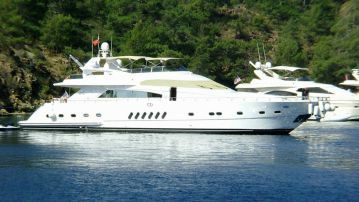 Luxury Yacht Charter Turkey The interior saloons are spacious and tastefully decorated and the private cabins are large with individual ensuites, which often include saunas, baths, even jacuzzi. The decks are designed with spacious areas perfect for sunbathing and other outdoor activities. 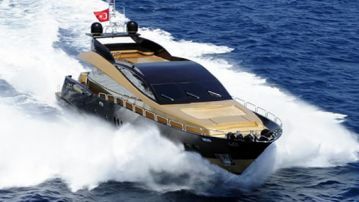 Luxury mega yacht charter in Turkey luxury yachts are also equipped with variety of water toys for your entertainment, wind surf, water ski, jet ski and diving equipments just to name a few water toys. 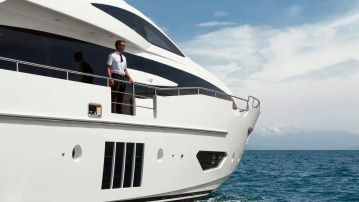 The larger superyachts also accommodate a helipad, submarine bay, fitness center and home theatre or cinemas. Every Mega yacht has its own tender (service boat ) to take out the guests for water ski, to convey passengers ashore to the beach during the day or to dining out at night. 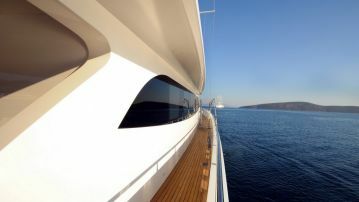 Luxury Mega Yacht Charter in Turkey. Crewed sailing yachts are perfectly appointed for adventure sailing. 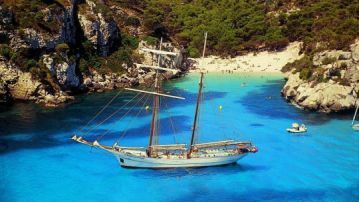 A full charter crew is appointed to sail your luxury boat, professionally and safely for your perfect sailing vacation.